It is amazing what paint can do! No matter the project it has a way of transforming spaces like no other. Just painting your walls a new color can make a room feel completely different. For Week 2 of the One Room Challenge I am going to be sharing all things Paint! From picking the perfect paint color to the supplies that you will need to get the job done- This is a one stop shop for how to paint a room! 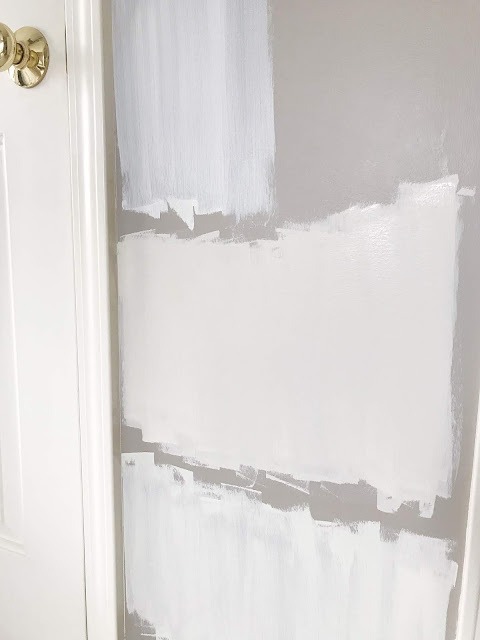 I am sure that 99% of my readers have probably painted a room before but I figured this was a good tutorial to have saved on the ol' bloggy blog for the 1% that are tackling this project for the first time! Picking paint colors is not an easy task. Paint can look one way in one room and completely different in another. And let's face it- those little swatches just don't show us how an entire room will look in a certain color! 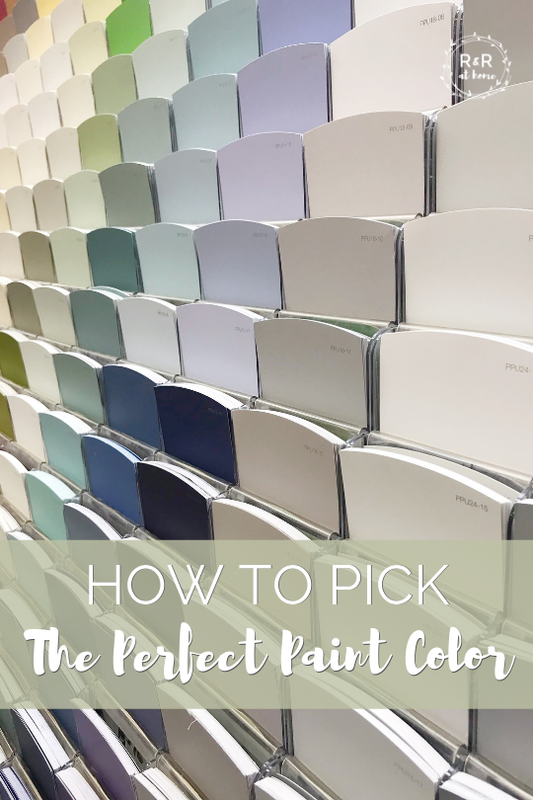 I'm definitely no expert but I am sharing a few tips for how to pick the best paint colors! 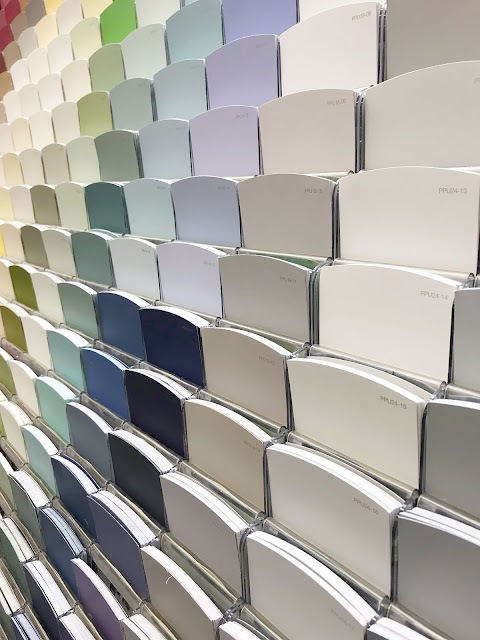 Research can mean all types of things when it comes to picking paint colors. I typically like to start out by browsing the gorgeous homes on Pinterest and Instagram for paint inspiration. This is a great way to see a color you're interested in in a space. All you have to do is type in the name of the color you are leaning towards and you will see tons of results of this color in real spaces. Keep in mind that these photos are most likely edited so that brings me to my next tip. When it comes to home improvement projects I dread the multiple trips to the store. 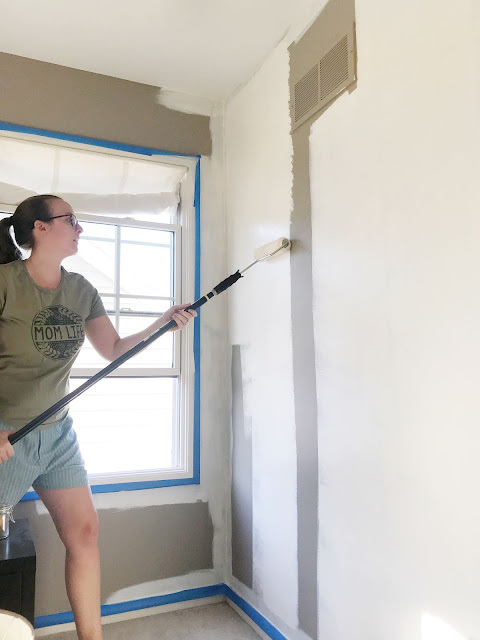 We are not close to a home improvement store so I really love to make one trip if I can but that rarely happens... especially when I'm painting a space. 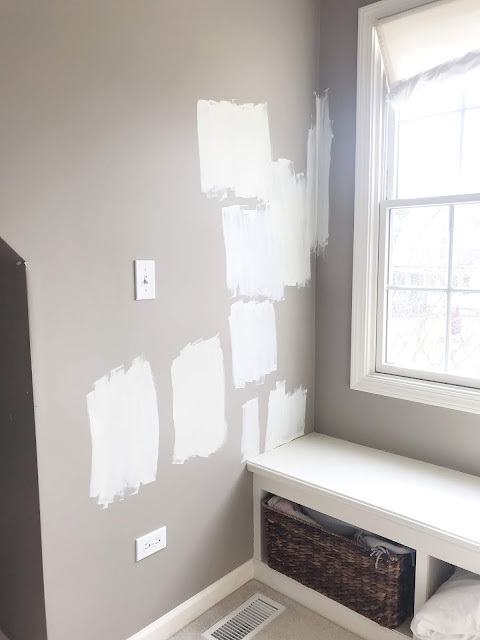 When it comes to choosing paint, I'm typically making 3 or 4 trips to the store if I don't find a color I like right away. This happens because I like to buy samples before committing. I never knew there were so many different white paints! I like to test out a few different areas in a space to see the color in artificial light, natural light, direct sun, etc. This is a tip for the budget conscious! Most of the paint choices I have used throughout my home are Sherwin Williams or Benjamin Moore colors that I have had my local hardware store color match. 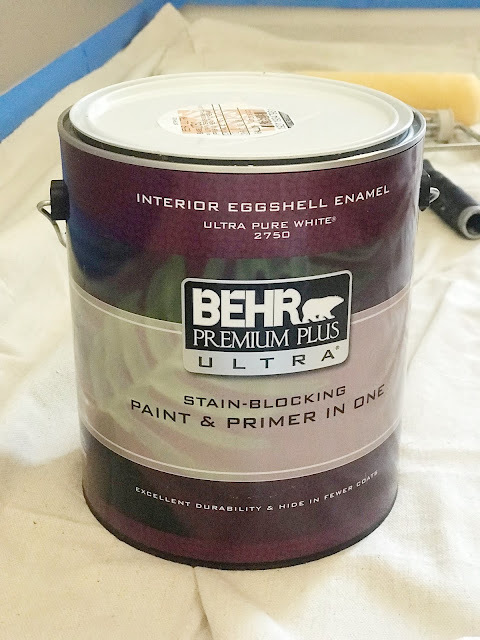 The reason I do this is that even though I love the colors of the big name brands, I don't love the price tag (although I did splurge when painting our Kitchen Cabinets because that is one place you don't want to skimp). Most stores like Home Depot, Lowe's or Menards offer a great selection of good quality paint that they will color match. When painting walls, I always use a paint that includes a primer. 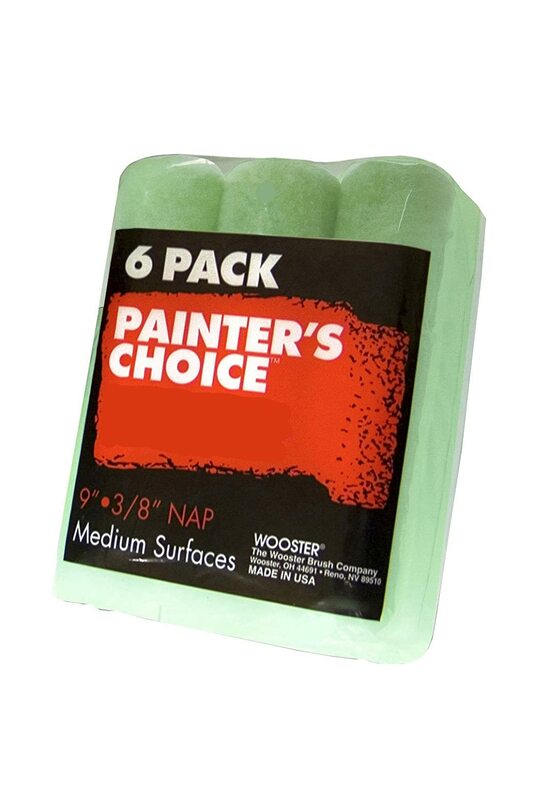 I typically like to stick to the $30/gallon range when I'm choosing my paint. I love Home Depot's Behr Premium Paint + Primer and Lowe's HGTV Home by Sherwin Williams Showcase. Doing a good job painting a space isn't just about the paint- it's also about the supplies you use. This is very important. 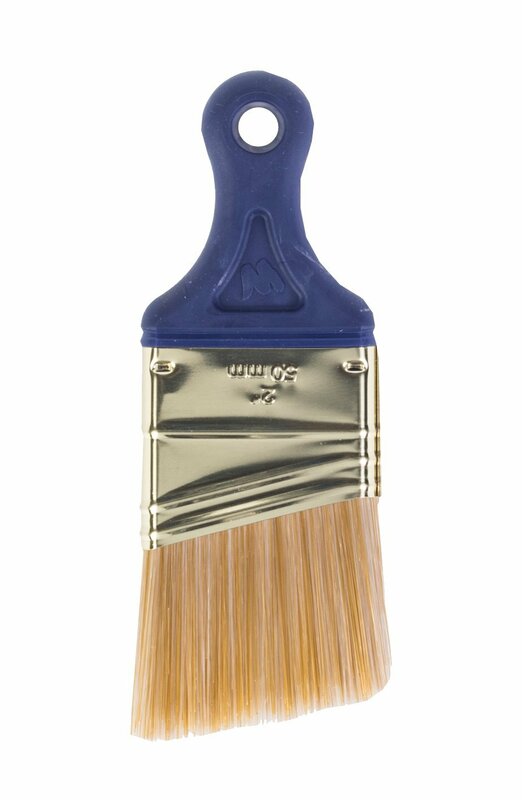 From tape to paint brushes- quality MATTERS! I always start by taping off the room I will be painting. I am an odd duck- I like to tape off my trim but I edge my ceiling freehand. 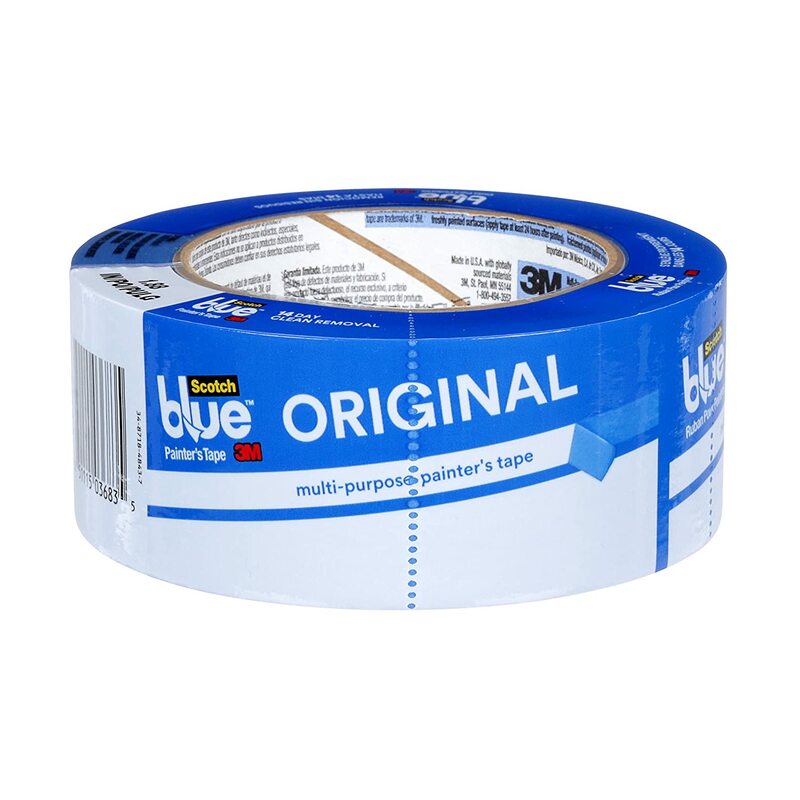 I always use Scotch Blue Original Painters tape for taping off my trim. 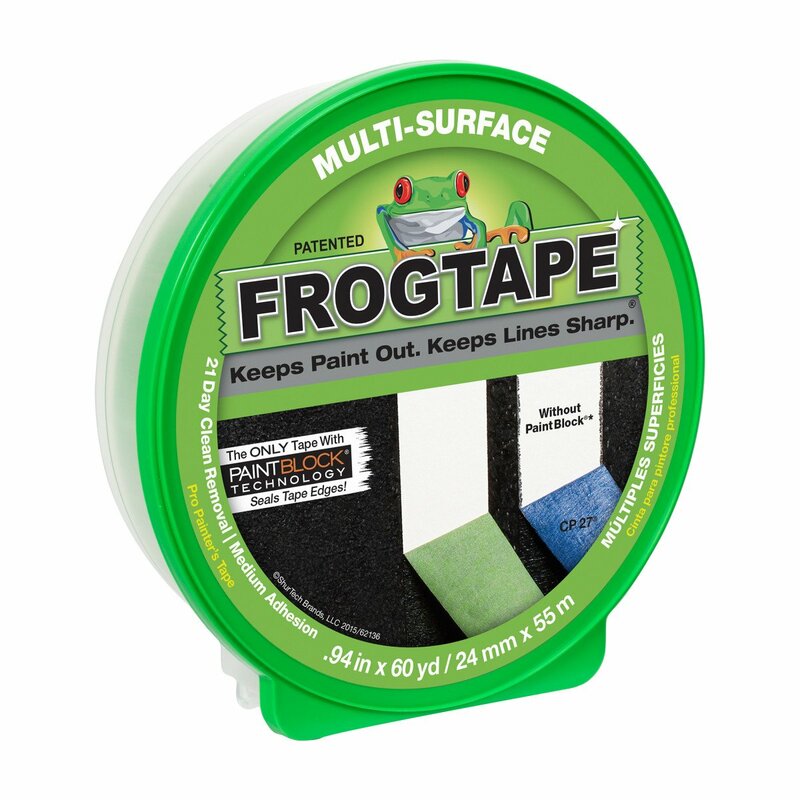 For more intricate work that may include painting stripes or patterns on the wall (like this stripe wall I once painted) I reach for the Frogtape. This tape creates the most perfect lines I've ever seen. For cutting in the ceilings I like to have a good edging brush. As much as I try to keep mine in good condition I almost always need a new one for a new project to ensure a straight edge (and I just love a new paint brush). Make sure you have a drop cloth down to catch any splatters. 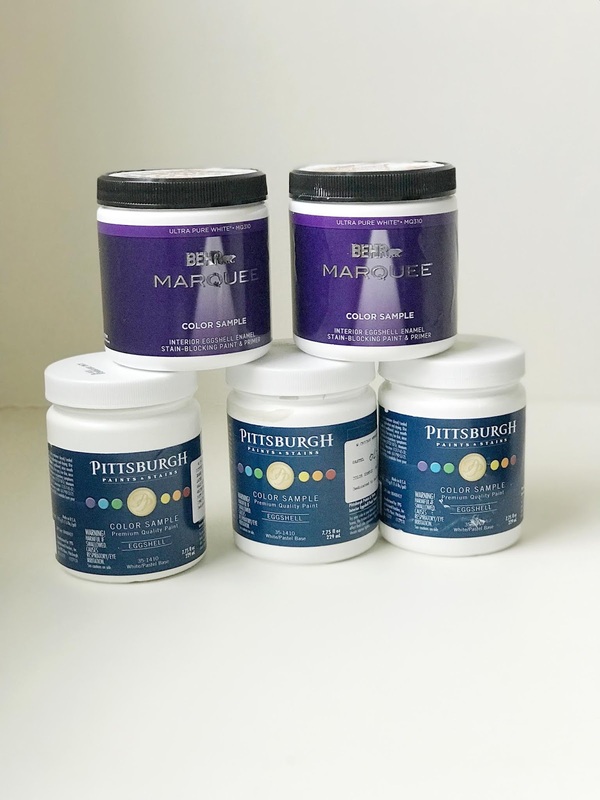 This isn't as important if you're painting over wood or laminate but is especially important if you are painting in a room with carpet or a rug. 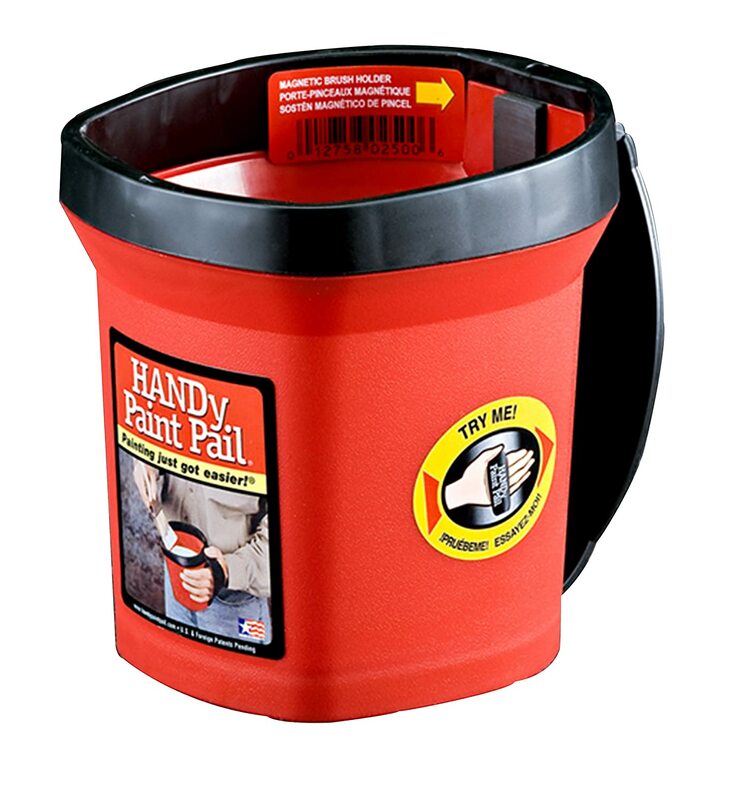 I like to use this handy paint pail for doing the trim work. 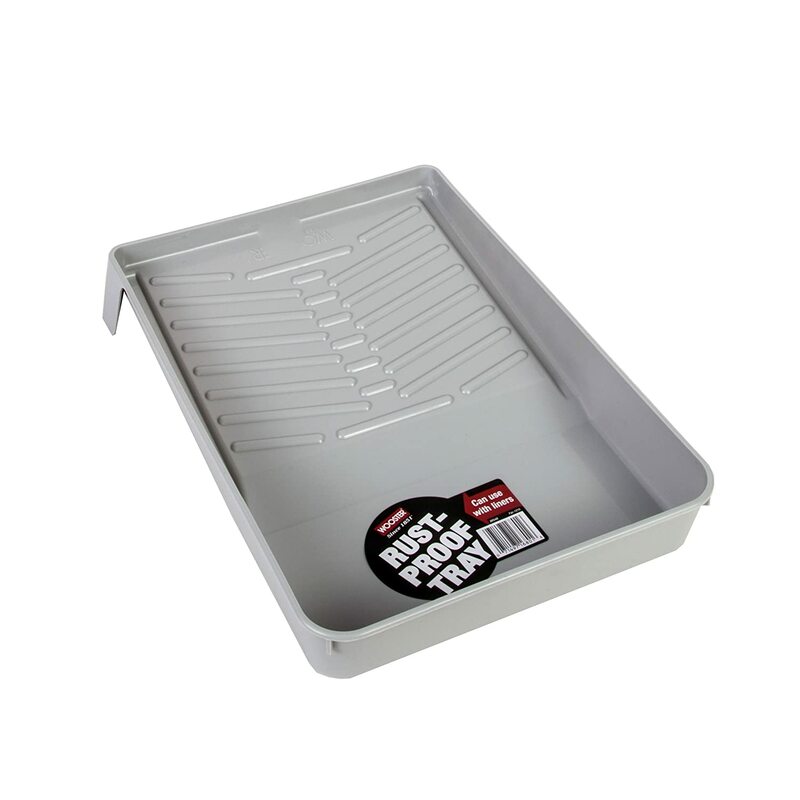 It's easy to hold and has a magnet to hold the brush in between painting and rolling. I use an extender for rolling on paint. 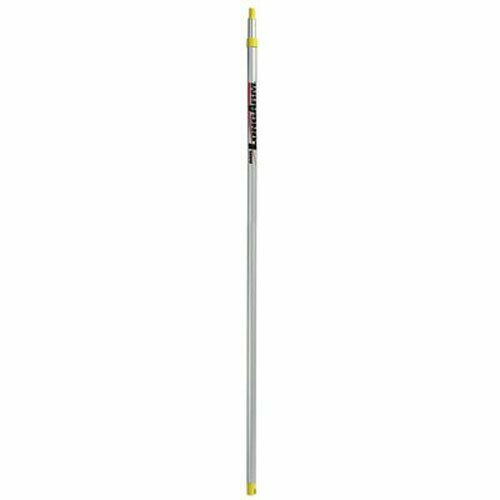 It's easier on your back and makes for a smooth finish from ceiling to baseboard. As for roller covers, I like to find a mid level cover good for all types of paint that works well on smooth to semi-smooth surfaces (unless you have textured walls- in that case go for the rough surfaces). I have a process I like to use for painting a room. I always start by edging. I paint at my baseboards and ceiling first and then I roll. I like to do it this way because it's a good start/end point for my roller (I've tried the other way and I have had too many ceiling taps). I do one wall at a time then by the time I'm back at the first wall it's ready for a second coat. Here's a quick peek at how paint alone has transformed this room! I am so happy for a clean, blank slate to bring my vision of a modern farmhouse bedroom to life! Stay tuned for tips on painting furniture in next week's update! And be sure to check out of all of the Featured Designers and Guest Participants of the One Room Challenge!